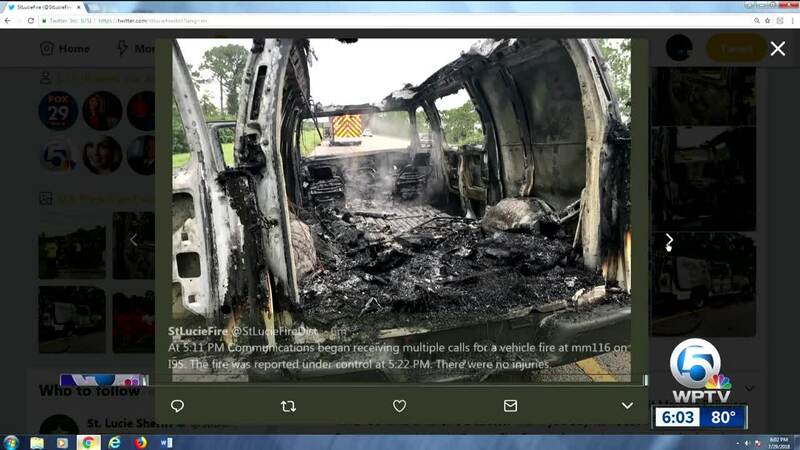 No one was injured after a minivan caught fire in Port St. Lucie Sunday afternoon, according to the St. Lucie County Fire District. The incident happened at 5 11 p.m. on southbound I-95 at Mile Marker 116. Officials say the fire was reported under control at around 5:22 p.m.